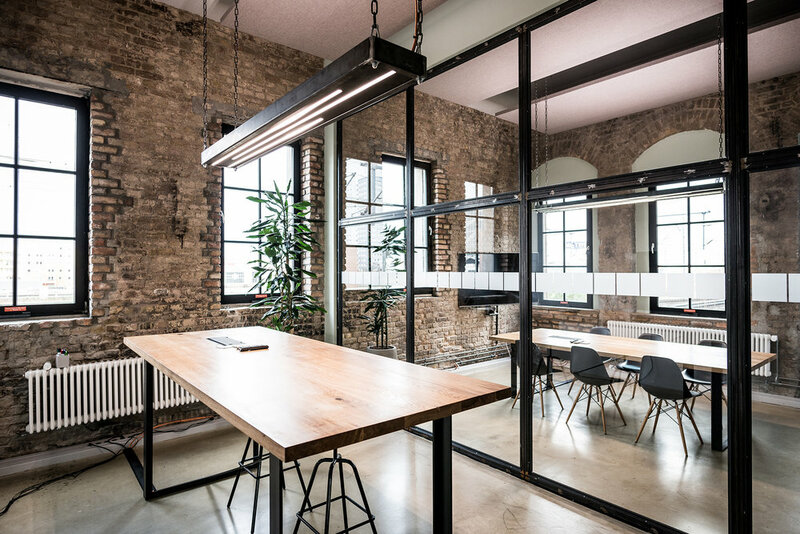 Studio Theobald was commissioned with the design of the new office space for Kayak Berlin, a travel search engine that has several offices around the world. The office is located in a former industrial building, next to the east side gallery, the Postbahnhof. 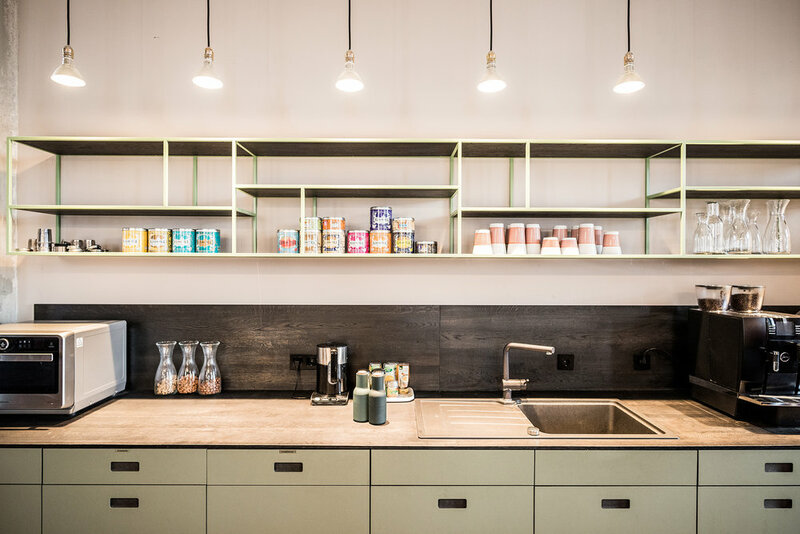 Our design aimed on keeping the look and feel of the former industrial building, but realizing a build-out that was technically on the highest standard, creating a space that the employees feel most comfortable in. 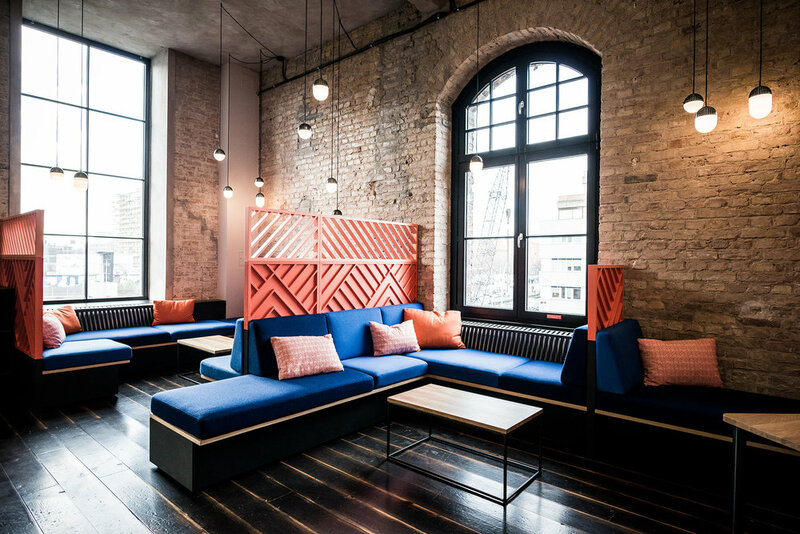 While we left the building structure and materiality as it was, we added strong color highlights and expressive custom made furniture to break up the old industrial esthetics and create atmospheric informal working scenarios. The 10.000 sqft office on the 2nd floor consists of two main parts. On the right hand side the generous open office with editing and meeting rooms, on the left, the kitchen area and community space for informal working, meetings and gatherings. 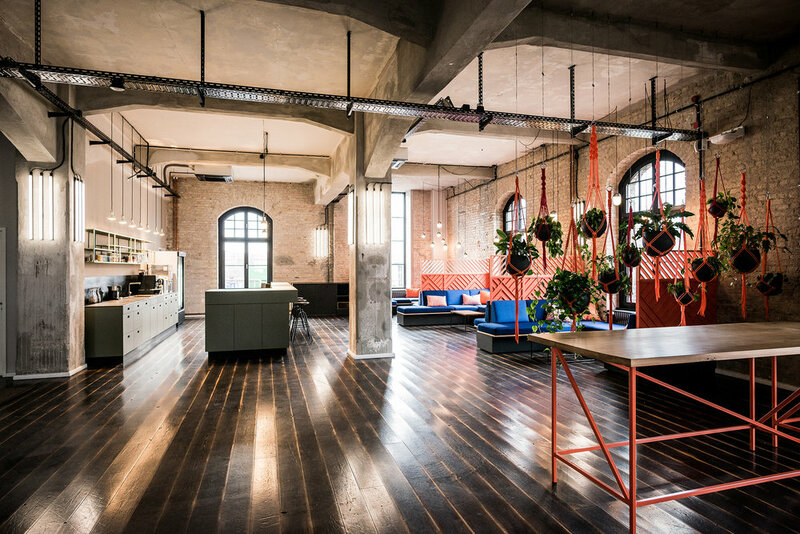 With the new space on the 2nd floor, Kayak extended its already existing office in the Postbahnhof in Berlin. 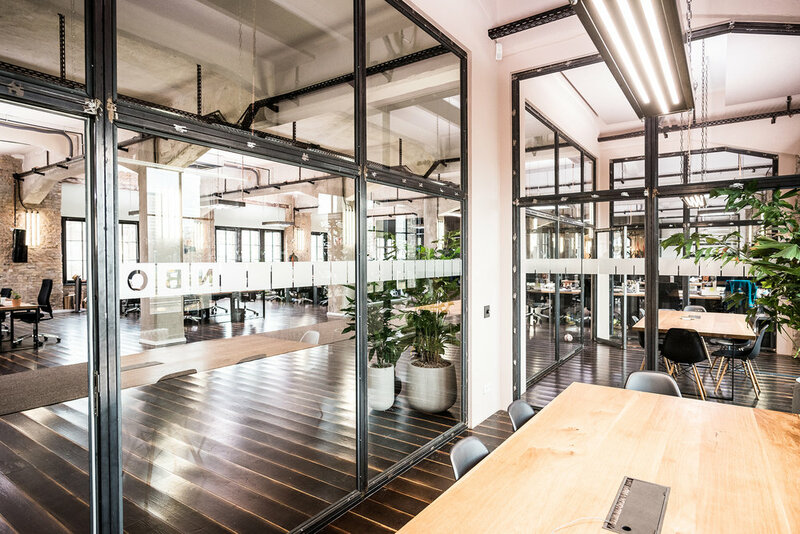 The companys space in the building already consists of about 25.000sqft open office work space with a big catering kitchen and community spaces as well as a gym and a big rooftop terrace.